A couple of weeks ago I visited Anglesey Abbey, a National Trust property located a few miles north of Cambridge. I wanted to have a mooch around the grounds and house, as well as visit the vibrant display of dahlias they have every year. This first post is all about the grounds. The 98 acres of landscaped grounds are divided into a number of walks and gardens, with classical statuary, topiary and flowerbeds. They were laid out in an 18th-century style by the estate's last private owner, the 1st Baron Fairhaven, in the 1930s. Baron Fairhaven bequeathed the house and grounds to the National Trust upon his death in 1966. Silver Birch Trees in the Winter Walk. Bottisham Lode, one of a number of lodes that were used as a transport link to the River Cam. Pathway past the trees and wild flowers. Bridge over Bottisham Lode, covered in algea and fallen leaves. Small tree and ornamental stone urns. Lord Fairhaven created the Dahlia Garden in 1952. It's sweeping design means that it is not possible to see the end of the border from either entrance. 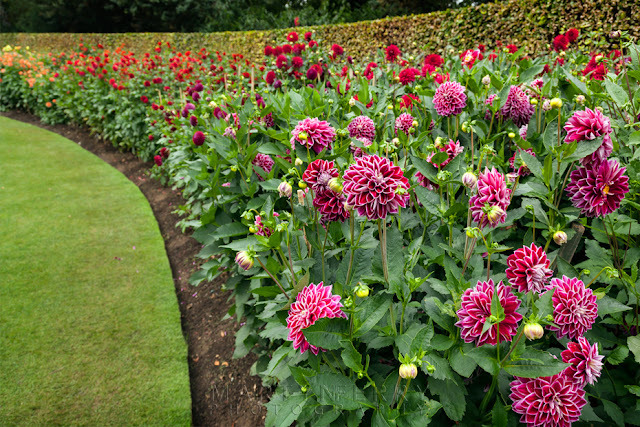 The border contains approximately seventy varieties of dahlia, with 250 plants needed to fill the garden. 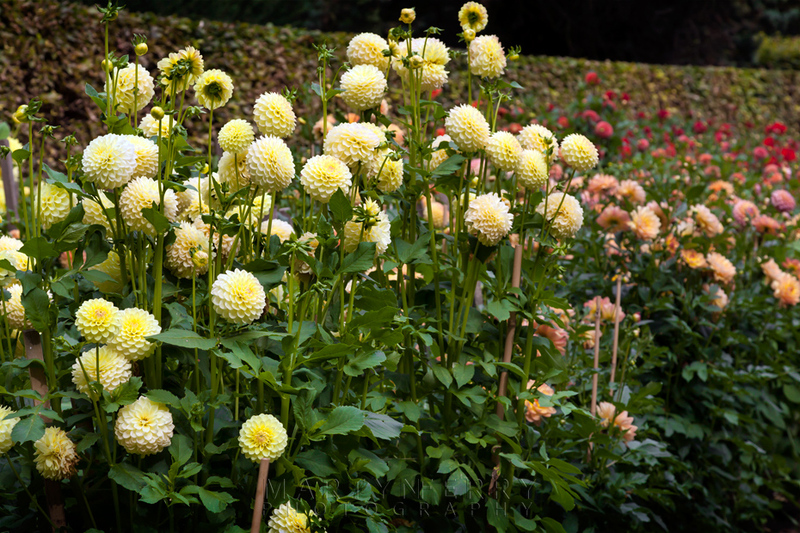 The first Dahlia species arrived in Europe from Central and Southern Europe in the late 17th Century. The International Dahlia Register uses a classification system of 14 distinct groups, based on the overall shape of the flowers and petals, seven of which are grown at Anglesey Abbey, including ball, cactus, decorative and fimbriated, many with intriguing names such as Bracken Ballerina, Spartacus, Streets Ahead and Café au Lait. A collection of Claire Dianes. Nunton Form with ladybird accessory. Might be a Hexton Copper. 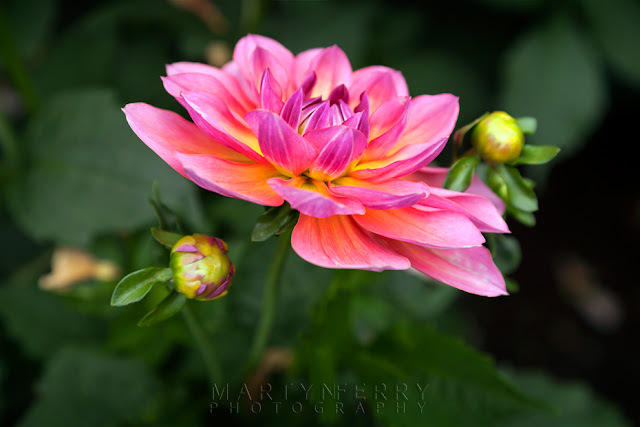 There are hundreds of dahlia varieties, and this is one of them. Possibly a Pink Loveliness, (yes it is a real name) or possibly not.